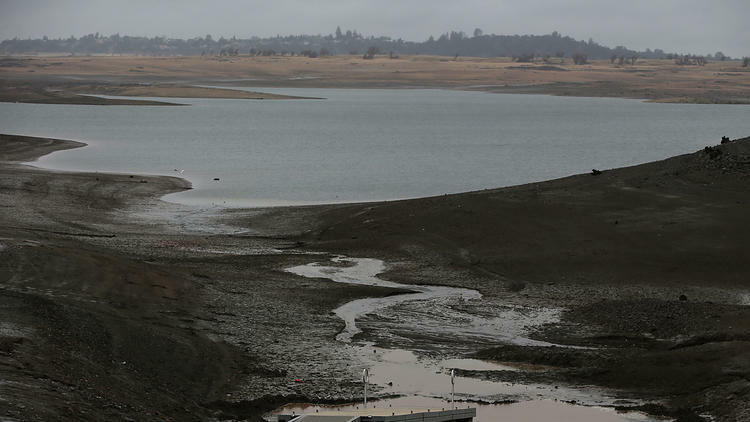 California's drought conditions have worsened over the past week with the percentage of the state suffering from the highest category increasing, the National Weather Service said Thursday. "Exceptional" drought conditions have spread in Central California since a week ago, weather officials said. Areas in Northern California have also moved into this category since last week, according to the U.S. Drought Monitor. Almost 33% of the state faces exceptional conditions. About 25% of the state faced those conditions last week. Every part of California remains in what is considered severe drought. A year ago, no part of the state was in exceptional drought conditions, the weather service said. The drought has prompted water conservation efforts as well as rationing in some parts of the state. L.A. saw record dry conditions this winter, and snowfall in the Sierras has also been significantly down. But the political impact of the drought has been a subject of debate. A USC Dornsife/Los Angeles Times poll in June found most Californians surveyed say the statewide drought has had little or no impact on their daily lives, and a majority oppose the suspension of environmental protections or large-scale public spending to boost water supplies. Despite widespread news coverage of the drought the state's major population centers have largely escaped severe mandatory rationing. Even agriculture, which as California's thirstiest sector is inevitably hit the hardest by drought, has partially compensated for reduced water delivery by pumping more groundwater.